Travellers have moved onto the car park next to the Co-Op in Market Deeping. 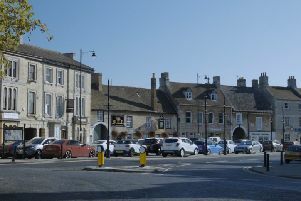 Inspector Mike Burnett, based in Stamford, said seven caravans had moved in yesterday evening (Monday, September 19). Inspector Burnett said: “We are working in close liaison with the owners of the land to provide them with support and assist them with their legal remedies.